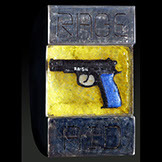 “Rage Aid” , 02 , 15,5x 9.5 x 8 , Kilncast glass, steel. 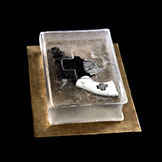 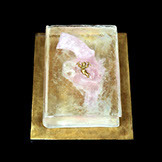 “The Good Book” , 02 , 5,5 x 8,5 x 10 , Kiln cast glass, steel. 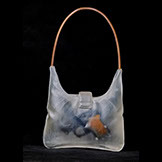 “Amour” , 02 , 5,5 x 8,5 x 11 , Kiln cast glass, steel. 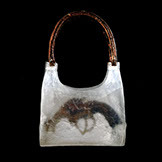 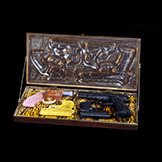 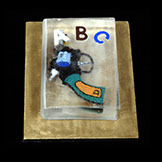 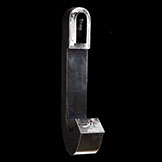 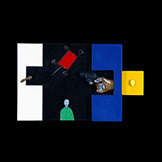 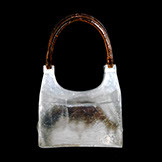 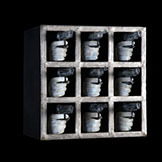 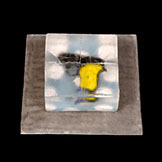 “Back To School (ABC)” , 02 , 5,5 x 8 x 10,5 , Kiln cast glass, steel. 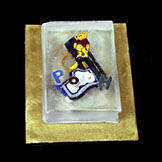 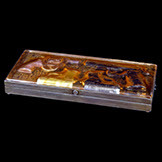 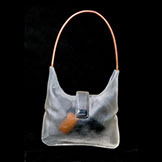 “Back To School (Pooh)” , 02 , 5,5 x 8 x 10,5 , Kiln cast glass, steel.